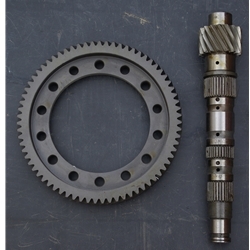 Gear shaft and ring gear from JDM model with 4.44 gear ratio. Must be a B13 or B14 originally equipped with LSD. Also fits G20 thru 1999 if originally with LSD.